In a slump? Don't feel like reading the Torah today? Not managing to convince yourself to get out of the warm cozy bed for Shachrit prayer? 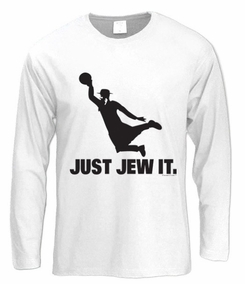 The great rabbi JEWRDAN would say JUST JEW IT! 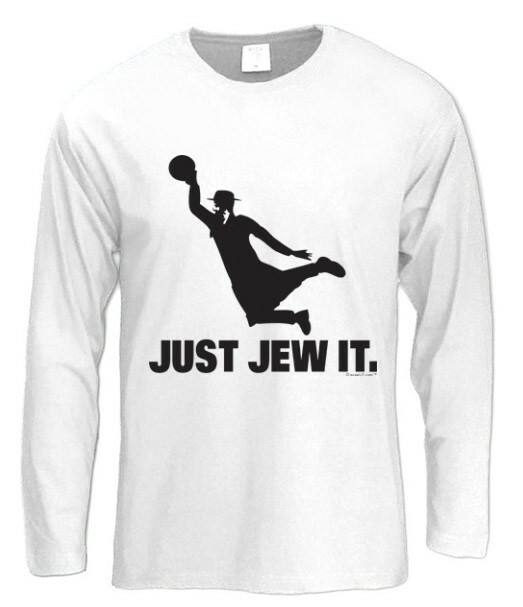 get this awesome hilarious T-shirt with motto "Just Jew It" and the dunking rabbi Jewrdan to add a comic side to your wardrobe and become the MVJ Most Valuable Jew of your group! Our t-shirts are made of 100% cotton and are long lasting with bright colors. Our products are all designed and printed in Israel.